Within the first week of its launch on Magento Commerce, Kate Somerville’s comprehensive site upgrades showed a vast improvement in site traffic and conversion rates. The Hollywood skincare maven needed big results. 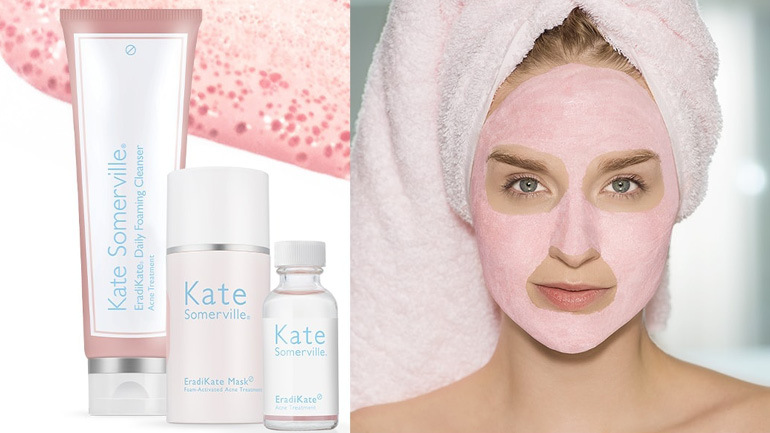 Kate Somerville has cared for her customer’s skin for over 25 years. At her iconic skincare clinic in the heart of Hollywood, California, customers can find the cutting-edge skin treatments while feeling right at home. The clinic, on Melrose Place, is dedicated to clinical skin care and advanced technologies, proven results, and unparalleled customer service. For decades it has been a destination for those seeking real solutions to skin concerns, and is visited daily by some of Hollywood’s most photographed faces. 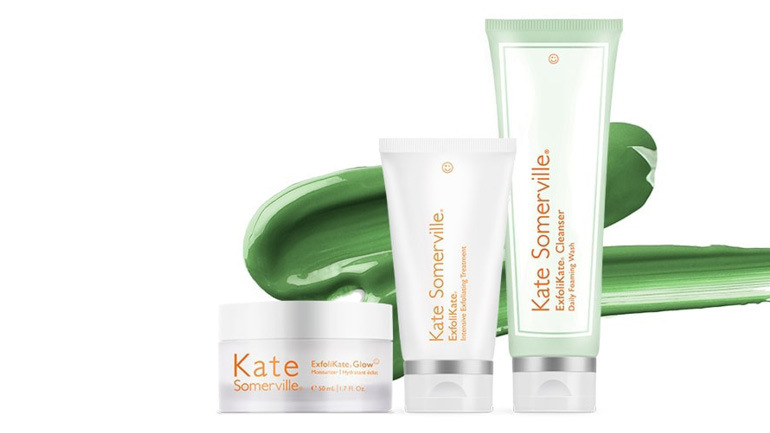 When Kate Somerville transitioned into eCommerce, the brand’s main goal was to provide digital shoppers the same one-to-one experience her clients enjoy in the clinic. But the original Kate Somerville webstore was not performing the way the brand had hoped. They went looking for ways to improve the store’s user experience – to make the online experience feel like a consultation with a skincare specialist – and to boost conversion. In 2017, they decided to move to Magento Commerce. Nosto has been a great partner for us....The results sealed the deal for us as we know for certain that we are getting return on the investment. Digital transformation meets the beauty industry. Kate Somerville joined forces with Nosto, the Magento Premier Technology Partner, and Guidance, the Magento Solution Partner, who recommended a complete digital transformation of the site using Magento Commerce. They chose the platform for its robust flexibility, that would allow them to build a completely customized experience. They began to build a personalized homepage featuring a combination of product recommendations, with still and moving product visuals, user testimonials, and user generated content. Nosto’s onsite product recommendation tools steer shoppers towards relevant products in real-time, based on their unique user behavior. For example, ‘Home Page Best-Sellers’ displays items that visitors have viewed or added to their cart, but did not purchase. ‘You Might Also Like’ suggests products that other customers viewed or purchased, having viewed another specific product. Meanwhile, ‘Recommended For You’ displays products that are often purchased in conjunction with the items in the users’ shopping cart— for example if a customer bags a Wrinkle Warrior® 2-in-1 Plumping Moisturizer, the store knows to recommend the Wrinkle Warrior® Eye Visible Dark Circle Eraser. Using machine learning, the new site builds a picture of customers’ individual skincare needs. “Nosto built out custom features for us to make sure the experience matched our style guide perfectly,” said Sarah Zylstra Skinner, Senior Director of Digital Marketing at Kate Somerville. In fact, more than a dozen customized integrations were added. These include Amasty Quick View and Sitemap, IWD Store Locator, Sphinx search, Listrak, Pixalee, Tealium, Olapic, Order Groove, 500 Friends, AddShoppers, Yieldify, and Live Chat. Kate Somerville also seamlessly integrated Magento Commerce with their nChannel Product Information Management (PIM), so they can offer users up-to-the-minute inventory data, wholesale pricing, group pricing, and current promotions. The power of AI marketing. Within the first week of its launch, Kate Somerville’s comprehensive digital transformation showed a vast improvement in site traffic and conversion rates. The open architecture of Magento Commerce allowed the brand to build a custom user experience for shoppers that matched the personalized service in their skincare clinic. The ever-growing Magento Marketplace gave the brand the ability to choose a best-of-breed approach to technology, and market directly to their customers’ needs. With Nosto’s recommendation engine, Kate Somerville can make automatic predictions about customers’ interests by collecting data in real time, providing personalized marketing messages. By leveraging on-site customer data they can create a relevant shopping experience that leads to more dynamic product discovery, increased conversions, and an increase in Average Order Value. With machine learning-powered marketing campaigns, Kate Somerville has enjoyed increases in traffic, conversion, online revenue, session length, and more, while the webstore is recognized as a finalist at the Magento Imagine Excellence Awards 2018. Nosto were incredibly supportive during launch and implementation, and they built out custom features for us to make sure the experience matched our style guide perfectly.